tags: Fear the fist of the Saviour! To be honest after this the short just becomes a long extended action sequence featuring gore , mutilation and death and the narrative doesn't extend in to going beyond any of this but that's not necessarily a criticism and story knows that it's appealing to an audience interested in gross out comedy horror . Special mention should go to the effects and make up team who obviously put a lot of hard work in to giving the audience a good time . If I was a Hollywood producer I'd track this crew down and sign them up for a studio but it's a sad fact of life that nowadays Hollywood studios think that special effects are exclusively CGI and pyrotechnics . 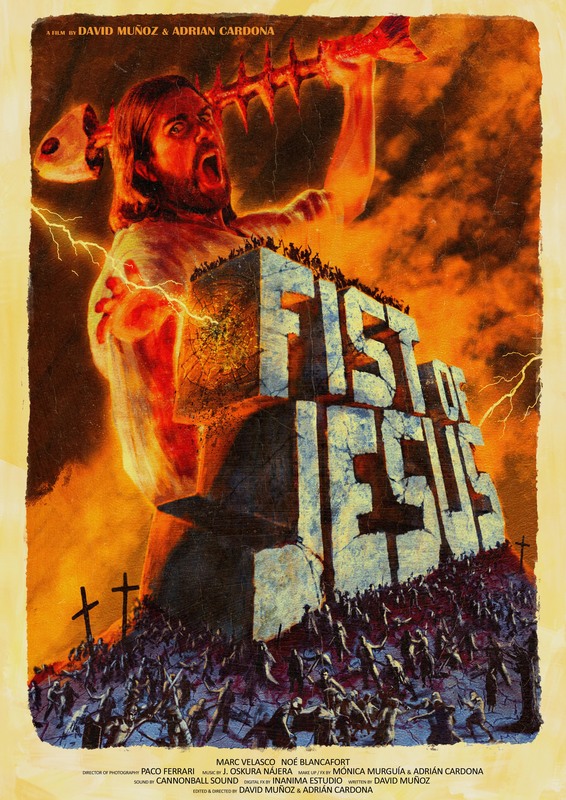 As it stands this little known Spanish short quite rightly puts Hollywood to shame "Fist of Jesus" is a 15-minute live action short film from 4 years ago and do not be fooled by the English title. This one is in Spanish and I highly recommend getting subtitles if you are not fluent in the language. Writer and director here is David Muñoz, who I have not come across so far, but here he shows us that he can come up with really funny stuff. The politically incorrect comedy is exactly what I appreciate so much here. There were 3 genuinely funny scenes I think. The first was Jesus' high-pitch screaming when the zombies appear for the first time, the second is when he revives Judas and he dies again and the last is the scene with the leper guy. So wrong, yet so funny. Overall, I recommend this little movie. It brings some a nice mix of comedy and horror, but the comedy definitely prevails here. Check it out.